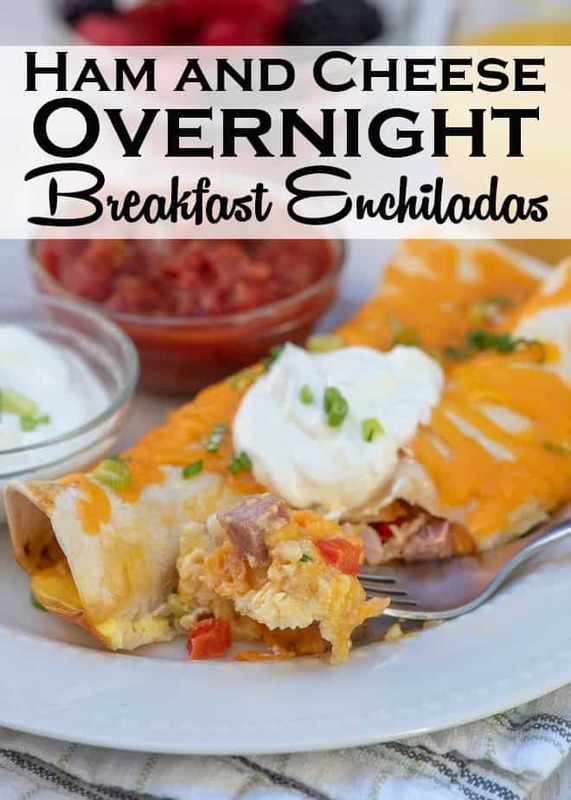 These Ham and Cheese Overnight Breakfast Enchiladas are an easy and entirely delicious choice for your holiday brunch menu. This post has been sponsored by Sargento. All thoughts and opinions are my own. My boys have come to depend on certain dishes for Easter dinner each year, so I don’t rock that boat too much. Instead, I look to my brunch menu as an opportunity to play in the kitchen a little. 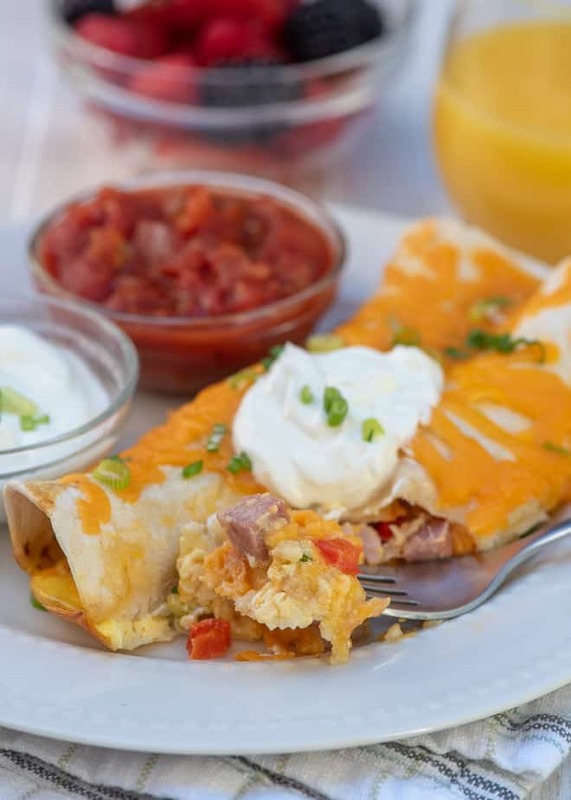 Out of all of the new things that have resulted in recent years, these Ham and Cheese Overnight Breakfast Enchiladas are a clear winner. 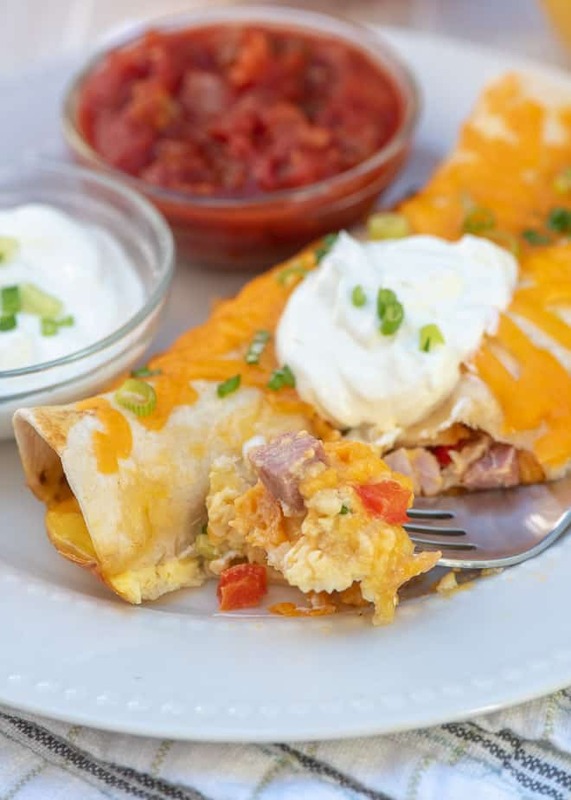 Flour tortillas are stuffed with a simple mixture of ham, Sargento Shreds ® Reserve Series 18 month aged Cheddar, red bell pepper, and green onion and baked in a creamy egg mixture to create this fabulously family-friendly breakfast casserole. 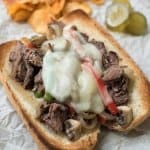 A huge bonus at this busy time of year is that I only have to add a couple of ingredients to my Safeway shopping list to make this recipe happen. I’ve been using the Safeway app on my phone for so long now, it’s hard to imagine shopping without it. It includes the items I buy most frequently, offering discounts that have a serious impact on lowering my weekly shopping expense. I take a little time to add the items to my list and the savings are automatically deducted at checkout. Love this! 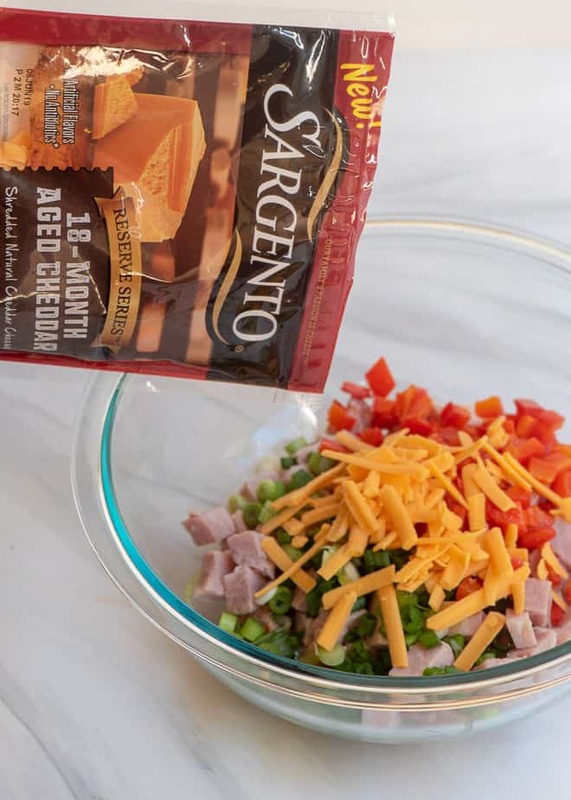 Click below to save $.75 off 1 Sargento Natural Shredded Cheese Product. 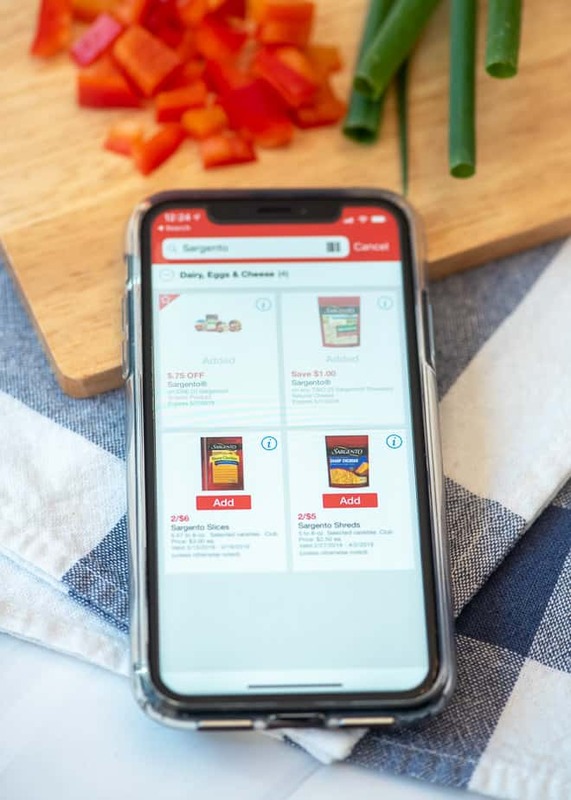 Another awesome bonus is that while I’m out there just doing my regular grocery runs, my Safeway purchases accumulate over time into Just for U Rewards that can be redeemed for free items or cash savings on future shopping trips. I literally just redeemed 7 rewards for $10 off my next shopping trip. 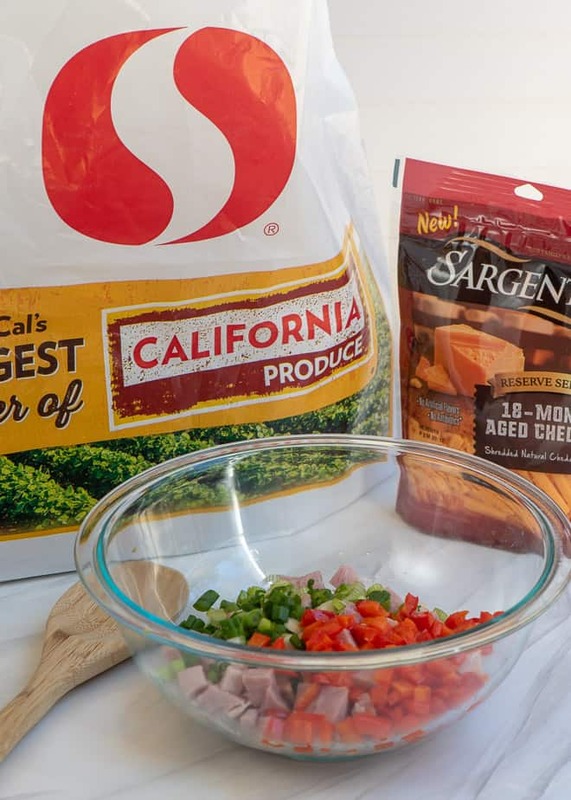 Sargento and Safeway are making it real easy to give the new Sargento Shreds a try in your favorite cheesy recipes. This premium Cheddar is aged to the just the right level of sharpness to add big flavor to your favorite cheesy recipes. 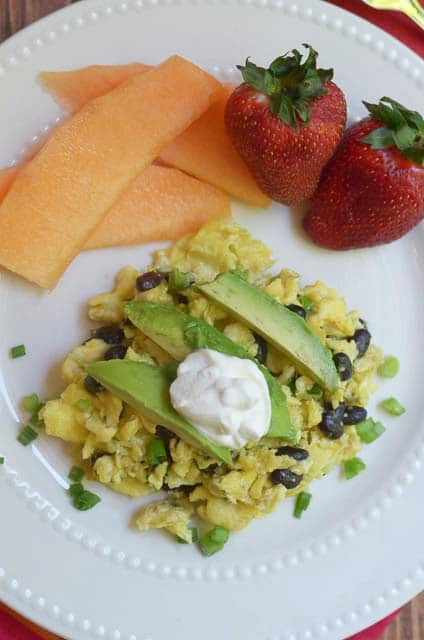 It’s fabulous when paired with ham in this tasty brunch dish. 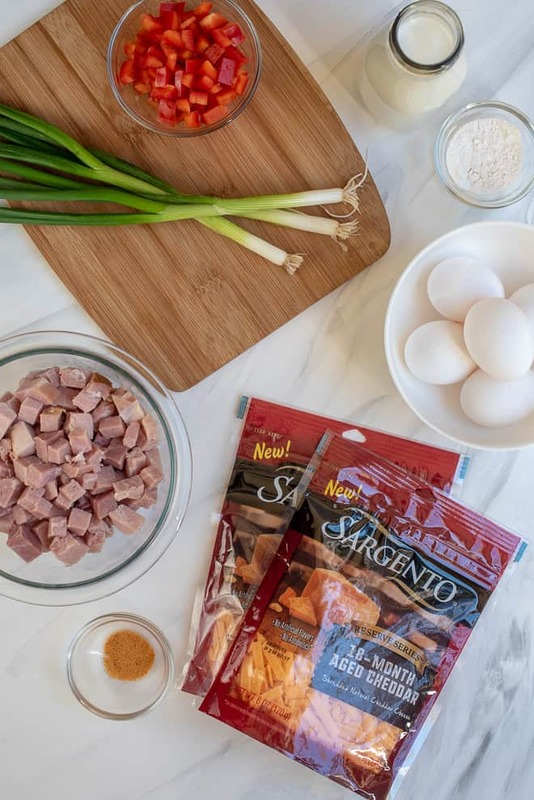 The ingredients are simple: a couple of cups of chopped ham, green onions, red bell pepper, half-and-half, flour, eggs, Sargento Shreds, and a touch of all-purpose seasoning. Grab a package of flour tortillas and you are off and running. 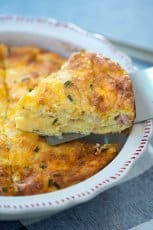 If you are serving ham for your Easter dinner, just buy a good-sized ham and snitch a little for this recipe. If ham isn’t on your menu this year, look for the packaged ham steaks in the meat department. 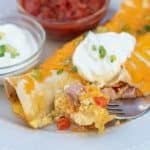 They are typically 1 pound, give or take, and will work perfectly for these breakfast enchiladas. Combine the ham, green onions, and Sargento Shreds in a medium mixing bowl. Quickly sauté diced red bell pepper in a little vegetable oil and add it to the mixture. Check out the substantial grate on this cheese! 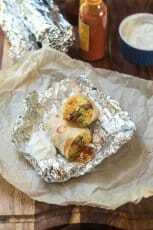 Divide the mixture between 8-inch flour tortillas and roll them up tightly. Place the filled tortillas seam-side down in a 13-inch x 9-inch baking dish. 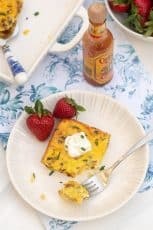 Eggs are whisked with half-and-half, flour, and a touch of all-purpose seasoning and poured right over the top of the filled tortillas. The flour will help the egg mixture to set up as it bakes the next morning to create an almost souffle-like egg base for the enchiladas. Cover the dish with foil and pop it in your fridge to chill until morning. So easy! 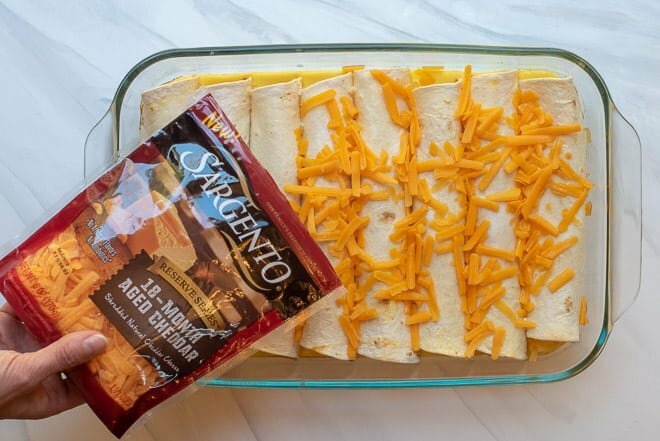 The next morning, the enchiladas are baked and then topped with additional Sargento Shreds and returned to the oven briefly to melt the cheese and allow the egg mixture to set up. The best part? 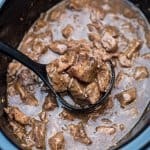 You don’t have to do a thing but remove the casserole dish from the refrigerator and pop it in the oven in the morning. 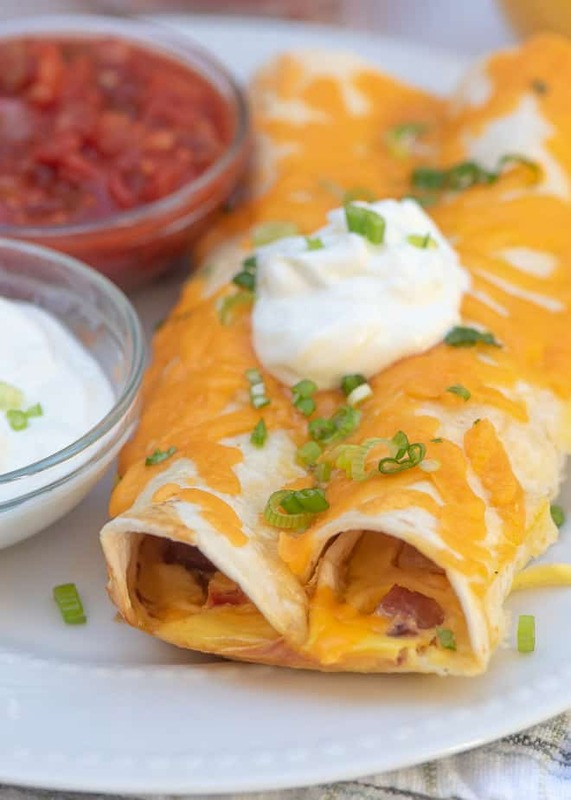 The egg mixture will bake in and underneath the breakfast enchiladas and mix with the ham and cheese mixture inside. 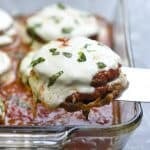 I set out sour cream and salsa but you could serve these with a variety of toppings—avocado would be a fabulous choice. Coat a 9-inch x 13-inch baking dish with nonstick cooking spray. Heat the vegetable oil in a small skillet over medium heat. Add the bell pepper and cook, stirring, for 2 to 3 minutes or until fork tender. Remove skillet from the heat and set aside. Combine the ham, half of the green onions, the bell pepper, and one package Sargento Shreds in a large mixing bowl. Cover and refrigerate remaining half of the green onions. 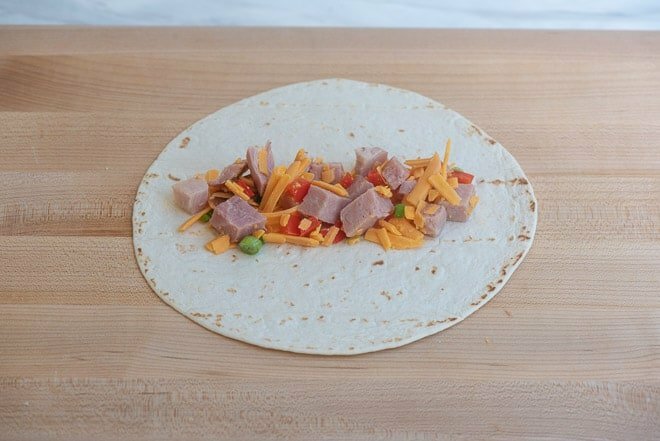 Scoop about 1/3 cup of the ham and cheese mixture onto each tortilla and roll them tightly. Place the filled tortillas seam side down in the prepared baking dish. 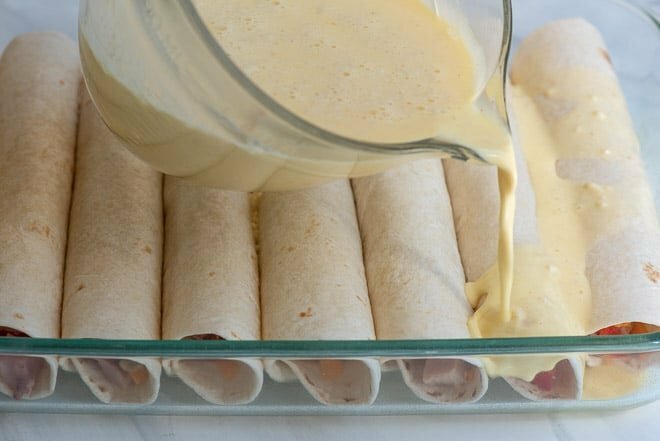 Whisk together the eggs, half-and-half (or whole milk), seasoning salt, and flour, and pour the mixture evenly over the enchiladas. 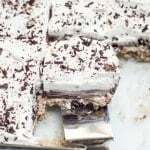 Cover the dish with foil and refrigerate overnight. 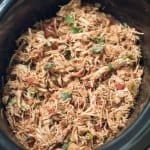 The next morning, remove the baking dish from the refrigerator and let it rest on the kitchen counter while you preheat the oven to 350 degrees F.
Bake, covered, for 35 minutes. 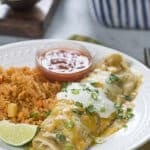 Remove the foil and sprinkle remaining cheese over enchiladas. Bake for 10 more minutes or until tops are golden brown and the egg mixture is set. Garnish with reserved green onions and serve with salsa and sour cream on the side.